Vodafone is a multinational telecommunications provider known around the world. Chaos has worked with both the Vodafone Business division to help develop B2B marketing communications focused on the SME market, as well as the Global Enterprise division. From strategic integrated campaign ideas and communication executions to bringing PowerPoint sales tools to life for senior audiences. 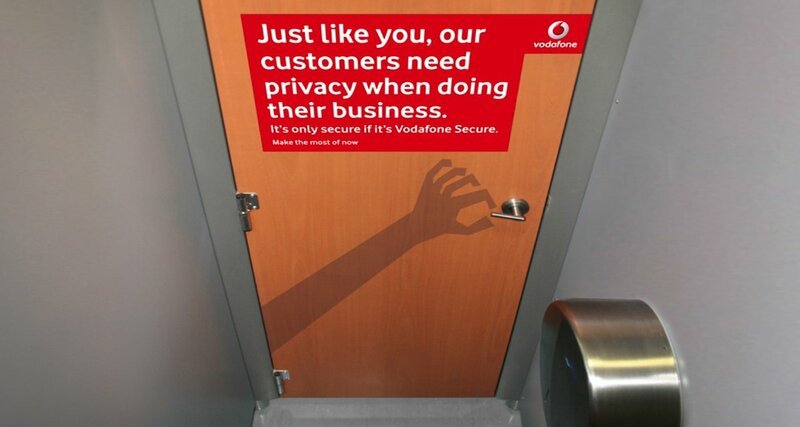 Vodafone were looking to launch their mobile information security platform Vodafone Secure (Remote Access) into the business market. Playing on the dangers of poor data security, Chaos proposed a visually arresting 'threatening shadow' campaign designed to cut through in a competitive market. 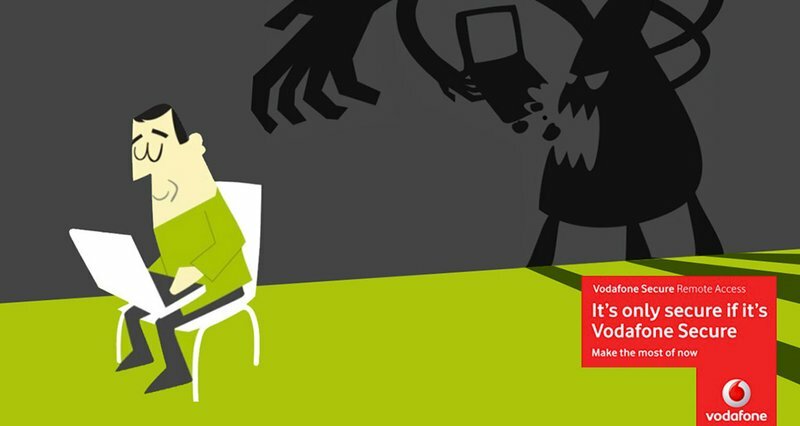 Based on the message proposition, 'It's only secure if it’s Vodafone secure', the advertising and direct marketing campaign idea combined cartoon style wit with serious messaging to create a sense of urgency about mobile device security management for business users. 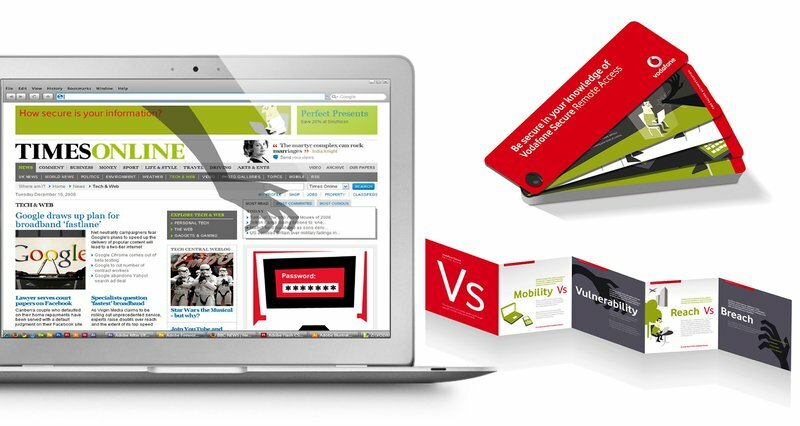 Adopting a 'vs' (Vodafone Secure) idea also enabled us to highlight key messages as a headline treatment - Reach vs Breach, Mobility vs Vulnerability etc. We also looked at starting the campaign by communicating with the internal sales team in an equally fun and disruptive way. The campaign's creative strategy put forward a mix of internal comms, advertising, direct mail, various sales tools and collateral.